Bovis Homes' popular Lavender Fields development in Carshalton is hitting the spot for London commuters, offering spacious family homes, a convenient location and excellent value for money, approximately 13 miles from central London. The two, three, four and five bedroom properties at Lavender Fields boast good sized rooms and gardens, and come with a full specification of fixtures and fittings, including kitchens complete with cooker, hob, dishwasher and washing machine, and luxury bathrooms of stylish white sanitaryware. The large and attractive properties are perfect for those looking for a home close to urban amenities but away from the daily grind of the city. Caron Hutchins, Area Sales Manager at Bovis Homes, said: "With rising London prices forcing more and more people out of that property market, it is understandable that homes in the quieter and more affordable suburbs are experiencing an increase in demand. "The Lavender Fields properties present an ideal opportunity for those wanting to leave the city without compromising on the style and modern comforts you often get from city living. "They are all designed, built and finished to the highest standards. The homes give buyers more for their money and are proving as popular with young professionals wanting a home near to the office as with families wanting to raise their children close to the city." The charming village of Carshalton Beeches provides a close community atmosphere with a varied selection of independent stores and cafes, and residents are within easy reach of a greater range of shopping, dining and entertainment facilities just three miles away at St Nicolas Shopping Centre, in Sutton. Ideal for outdoor enthusiasts, the area boasts a number of parks and golf courses, as well as several local sports clubs. The region is particularly popular with families, due to its generous selection of good schools, such as Stanley Park High School, which achieved a 'good' rating in its most recent Ofsted report. The popular towns of Croydon and Kingston upon Thames are each within a half-hour drive and Carshalton Beeches train station offers a commute of just forty minutes into London Victoria. Bovis Homes strives to make the moving process as simple as possible for their customers, and those interested in the homes at Lavender Fields are able to take advantage of a selection of purchase-assistance schemes. 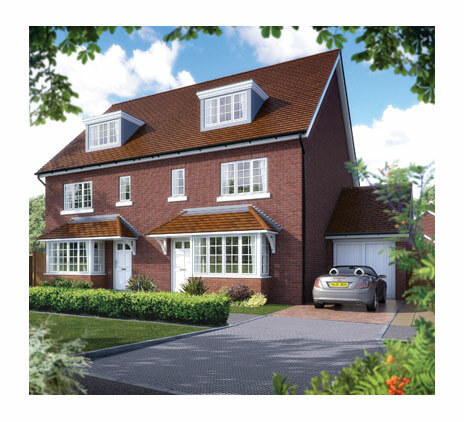 Prices at Lavender Fields currently start from £339,950 for a three-bedroom house. For further information on the Lavender Fields development, please call Bovis Homes on 07825 111 692.